The Global Citizen of the Year jury was impressed by the global mindset Jeremy developed as he made connections across cultures in China, South Africa, and Europe to inform his future medical career. Jeremy should definitely be proud of the lasting impact he made in Cape Town, and IES Abroad is excited to cheer him on as he continues to make an impact in the world as a global citizen. Take us back to the beginning of your study abroad and internship experiences. What made you want to study and intern abroad? Why China and South Africa? How did your journey begin? Going into this past summer, I had previously studied abroad twice through the College of DuPage. The first time was in Bordeaux, France during the summer of 2013 before I started my undergraduate program at the University of Iowa. While in the midst of my coursework at Iowa, I went to study German in Berlin during the summer of 2015. Both of these experiences taught me more about myself than I had ever learned before. 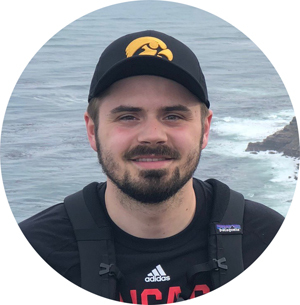 While completing my undergraduate, I knew that the summer between graduation and starting grad school at Rush University’s Master of Health Systems Management program was a big opportunity to do something I’d remember forever. Before I applied to graduate school, I considered doing a gap year abroad but came to the realization that I could consolidate that time into an incredible gap summer for a fraction of the cost. 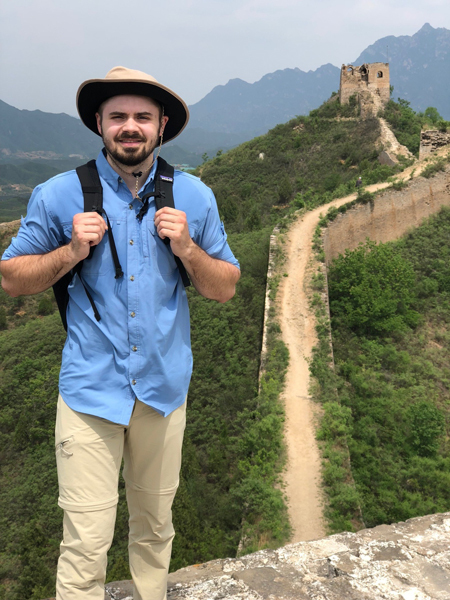 I chose to study abroad in China because I had a keen curiosity to learn about the economic and social climate of such an emerging global superpower. I wanted to pair an experience in China with one almost on the complete opposite end of the spectrum in interning for the Western Cape Department of Health in Cape Town, South Africa. The African continent was one I had never previously explored and felt that the time was now to gain real-time public hospital work experience while exploring the southern section of the massive continent. Through my travels, I’ve learned I learn the most about myself while in situations unfamiliar to me. Thus, on this quest of self-discovery, I chose two countries, which have completely different sets of values to each other in order to hopefully, understand the most that I could about myself and about the world from the experience. In your application, you shared that funding this experience wasn’t easy. What was it that made you so committed to this making this experience a reality? When I made the decision to take this unforgettable “gap summer,” I knew it would certainly be costly. I applied for every scholarship I was eligible for through the University of Iowa, IES Abroad, and any national or state organization I could discover. In addition to this, I worked at Cortado Coffee & Café in Iowa City as a cook, bus boy, prep chef, and food runner for as many hours as I could fit into a week and save every penny that I could. Some days would go by where I opened the café at 6 a.m. and wouldn’t leave until I closed at 8 p.m., which meant, I never even saw the sun. I was so committed to making this experience a reality because I knew it would change my perception on life, the world, and its people. Ever since I discovered I wanted to be a healthcare administrator, I also knew that I always wanted to work in a hospital somewhere in Africa, at some point in my career. This was at the top of my bucket list as it gave me an incredible sense of empathy, which I knew would be absolutely vital in my future career in the healthcare field. The day after you graduated you got on a plane and took off for three months. Over the course of a summer, you traversed three continents and had uniquely compelling experiences in each. How did those experiences compare and contrast with each other? I would say that the experiences I had in China, Southern Africa, and Europe were all different in their own way. In China, a lot of the experiences I had were focused on learning about how business is conducted in China. The group I traveled with had a lot of site visits with major international corporations located in Beijing and Shanghai. These site visits presented incredible learning opportunities to be informed of how business protocol in China differs from that of the United States. Outside of “learning the business,” we took a day trip to the Great Wall, Forbidden City, and a day at Disney Land Shanghai! Heading to Cape Town and Southern Africa was a real change of pace. China was full of modern high rises with incredible light displays on the faces of the buildings. Southern Africa was all about the natural beauty. In China, due to the abundant smog and air pollution, there wasn’t a single day with a clear blue sky. While in South Africa, I can’t remember a day that was ever even cloudy! Between Table Mountain National Park and the ocean, the city of Cape Town’s vibe was much less “hustle and bustle” and more relaxed. The South African experience was also much different from the China one as I was working as a Health Management Intern for 2 months. This came with a lot more freedom to explore as everyday after work was my own and every weekend I could go where ever I wanted to go. I went into South Africa with a bucket list and crossed everything off the list I wanted to. I traveled to Namibia, Botswana, Zambia, Zimbabwe and South Africa. I went hiking, surfing, riding a camel in the desert, sand boarding, and a sunset dinner cruise just to name a few. After traveling to all these different countries and having an abundance of new experiences, I made my way to Europe to experience a little familiarity and to catch up with some old friends in the remaining two weeks of my grand adventure. 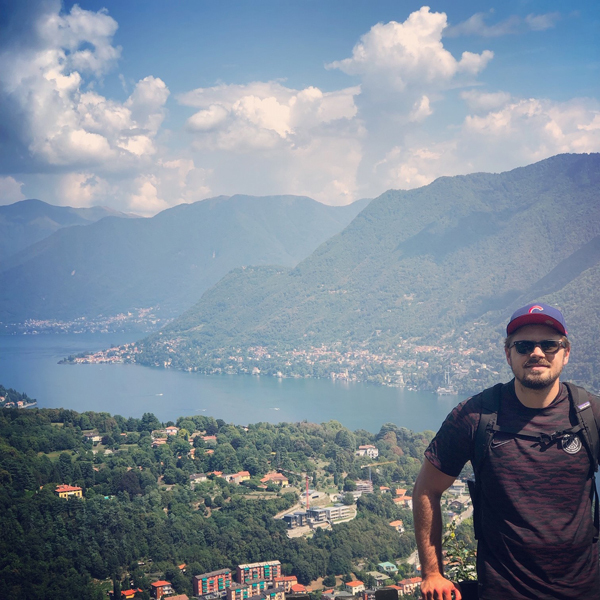 While traveling through Austria, Switzerland, and Italy I was able to spend quality time with my friends playing golf, hiking, flying in a plane around the Swiss alps, and trying all kinds of delicious foods. What did they teach you about the world at large? The combination of these experiences taught me the value of never being afraid to try something new. Out of all the new things I tried this summer, I never did something and regretted it. This told me that the world is full of all kinds of opportunities and places worth exploring and trying. It also taught me how surprisingly easy it is to find commonalities with people from all over the world. We’re all more alike in this world than we are different! These experiences taught me the importance of continuing to travel and learn more from the world. It is crazy to thank that I’ve been to 16 countries in my 23 years and its not even 10% of all the countries left for me to explore! I’ve learned to never refrain from doing something just because you’re the only one who wants to do it, and to simply not stress. When you travel, you realize and see first-hand some of the greater problems facing humanity. By putting all of the little things that might stress us out into perspective, you see the magnitude of the problem doesn’t warrant the stress associated with it! I’ve learned to appreciate the little things in life and that I’m committed to continually learning more and more about the world every time I travel! In a few words, tell us about how you have made a positive impact in the world through studying and interning abroad. I feel as though I made a positive impact on the world through study abroad by working in the South African public hospital systems, which serve some of the least fortunate and most deserving people in the community. Many of South Africa’s public hospitals are poorly resourced and there is often little time and resources available to improve workflow efficiency or develop creative new ideas. As a Health Management Intern, I was able to jump into the healthcare system and approach the operations of New Somerset Hospital from a perspective well outside of a South African context. Given this freedom to innovate, I was able to design and implement process improvements from the ground up which have outlived my time and Cape Town and make a lasting tangible difference to New Somerset Hospital and the patient community they serve. Why do you believe intercultural understanding is important in the medical field? I believe that intercultural understanding is critical in the medical field due to the fact that, over the next few years, you will see a large expansion of the American Academic Medical Center (AMC) abroad. This international expansion is one of the greatest reasons why I decided to embark on the path I am currently on. By having international American AMCs, the amount of difference clinicians and administrators will be able to make will exponentially increase. This expansion will lead to improved global health outcomes while simultaneously create access to care for patients that they may have not had previously. Clinicians at the top AMCs in the country see international patients regularly. By having intercultural understanding, we can enhance the patient experience by catering the care and service we provide them, to their needs and desires. Also, when expanding internationally, one must be aware of the market in which they are entering, as it may be drastically different than the United States. A meticulous analysis of cross-cultural competencies will lead to successful expansion internationally for the American AMC. Studying and interning abroad was one of the most abundantly clear reasons to me on why I began down the path of becoming a healthcare administrator. By being able to see the need for the quality of care we experience in the United States abroad, first hand, I knew I was pursuing a career that would not only help better global health outcomes, but also one that I would find absolute joy in doing everyday. After finishing this semester at Rush University’s HSM program, I’ll be moving to Cleveland in May as a summer administrative resident with Cleveland Clinic’s imaging department. I couldn’t be more excited and thankful for the opportunity to work for such an organization that makes a difference in the lives of countless patients at home and abroad on a daily basis. Upon completion of my summer administrative residency, I will be applying for a number of postgraduate administrative fellowship positions with several organizations across the country to start in the summer of 2020. I’m really excited for what my future holds and can’t thank my family, close friends, colleagues, professors and mentors enough for all the incredible support they show me day in and day out to as I continue to push toward my dreams. If you’re sitting there, reading this, considering the pros and cons of studying abroad, think no further and just go for it. The experience you will have will completely alter the way you see the world and how you live your life on a daily basis. When you go, do absolutely everything and anything that you can in the time that you have, because it will fly by, and you will wish you had done more with the time that you have. Which leads me to my unique piece of advice that is not standard to what you may hear elsewhere. While I was in South Africa this summer I really wanted to go to Walvis Bay and Swakopmund, Namibia for a weekend. None of my other fellow interns wanted to go however and I was left with a decision. Do I not go on the basis no one else wants to, or do I go on my own because its something I really wanted to go? I decided to go and had the absolute BEST WEEKEND I have ever had. 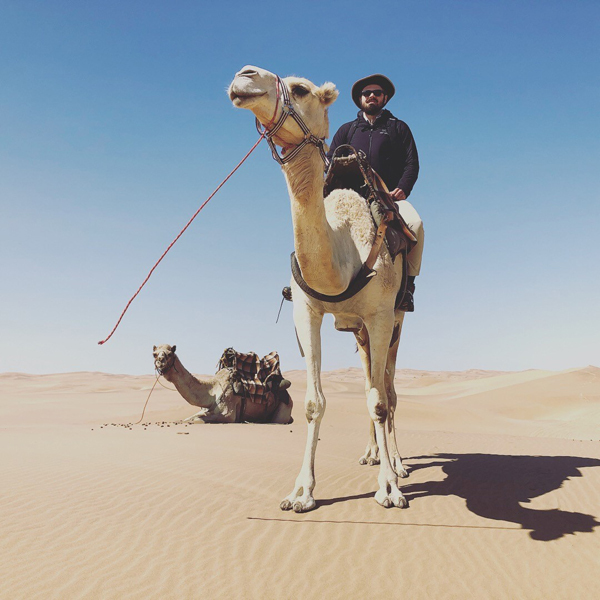 While travelling completely alone, in a country where I knew absolutely no one, I learned more than I ever thought I would about myself and a new culture while also having a ton of fun doing activities such as, sand boarding, riding a camel in the desert, and kayaking with thousands of seals in the bay. Always follow your heart and seize all of the moments because you will regret not doing so! The combination of these experiences taught me the value of never being afraid to try something new. It also taught me how surprisingly easy it is to find commonalities with people from all over the world. We’re all more alike in this world than we are different!